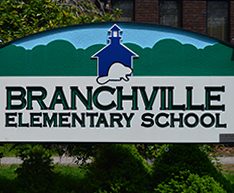 Branchville is family. Learn all about who we are, and meet the people who come together to make BES an excellent place for your child to learn and grow. Office Hours are 8:30 a.m. - 4:30 p.m. M-F during the school year. School Hours are 9:10 a.m. - 4:00 p.m.
Student drop off is to be no earlier than 8:50 a.m. as there is no supervision available before that time.